Kathleen Crowley, who frequently guest starred on television shows in the Fifties and Sixties, died on April 23 2017 at the age of 87. Kathleen Crowley was born Betty Jane Crowley in Green Bank section of Washington Township, Burlington County, New Jersey. It was three years after she graduated from Egg Harbour High School that she won the Miss New Jersey pageant. She would be a finalist in the Miss America pageant. She was named "Miss Congeniality" and won a scholarship which she used towards studying acting at the Academy of Dramatic Arts in New York City. Kathleen Crowley made her television debut in an adaptation of A Star is Born on the anthology series Robert Montgomery Presents in 1951. That same year she also appeared in episodes of Kraft Theatre, Starlight Theatre, and Armstrong Circle Theatre. She made several guest appearances on TV shows in the Fifties, making eight alone on the classic Western Maverick. She also guest starred on such shows as Chevron Theatre, The Lone Wolf, The Lone Ranger, Studio 57, General Electric Theatre, Disneyland, The 20th Century-Fox Hour, Climax, Cheyenne, Colt .45, Wagon Train, The Restless Gun, Death Valley Days, Laramie, Bat Masterson, 77 Sunset Strip, and Tales of Wells Fargo. She was a regular on the short lived show Waterfront. She made her film debut in The Silver Whip in 1953. During the Fifties she appeared in such films as The Farmer Takes a Wife (1953), Sabre Jet (1953), Target Earth (1954), Ten Wanted Men (1955), Female Jungle (1956), The Quiet Gun (1957), The Phantom Stagecoach (1957), The Flame Barrier (1958), and The Rebel Set (1959). In the Sixties Miss Crowley guest starred on such shows as 77 Sunset Strip, Thriller, Surfside 6, Checkmate, Route 66, The Farmer's Daughter, The Virginian, Perry Mason, Gidget, Batman, Bonanza, The Donna Reed Show, My Three Sons, Family Affair, and The High Chaparral. She appeared in the films Showdown (1963), Downhill Racer (1969), and The Lawyer (1970). Miss Crowley retired from acting not long after marrying John Rubsam in 1969. Kathleen Crowley was certainly beautiful, which is perhaps why she so often played the love interest in both films and TV shows. That having been said, she also had quite a bit of range. In two episodes of Maverick she played confidence artist Melanie Blake, who very nearly outsmarted Bret Maverick himself. In the Perry Mason episode "The Case of the Lonely Heiress" she played an heiress trying to find the con man who swindled her sister only to be charged with his murder. In the Batman episode "The Penguin Goes Straight"/"Not Yet, He Ain't" she played a naive socialite who is fooled by The Penguin into thinking he has gone straight. Throughout her career she appeared in a diverse array of TV shows, including several Westerns, some dramas, and even a good number of sitcoms. Kathleen Crowley didn't simply have looks. She had talent as well. It was almost as soon as World War II ended that the Cold War between the United States and the Soviet Union began. The stakes in the Cold War were raised considerably when on August 29 1949 the U.S.S.R. detonated its first atomic bomb. With both of the world's superpowers of the time at odds with each other and with both of the world's superpowers in possession of nuclear weapons, fears of nuclear annihilation were widespread from the Fifties well into the Eighties. In the United States various organisations and even individuals built fallout shelters. Schools and other institutions regularly held civil defence drills so that people would know what to do in case of a nuclear attack. Fears of a nuclear apocalypse may well have reached their peak during the Cuban Missile Crisis, which unfolded from October 16 to 28 1962. Given how rampant fears regarding nuclear war were in the Sixties and given how these fears became even more pronounced during the Cuban Missile Crisis, in retrospect it seems strange that a comedy capitalising on those fears would be released only a little over a year after the Crisis had taken place. 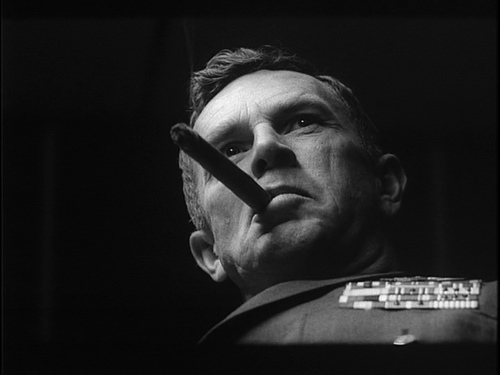 In Dr. Strangelove or: How I Learned to Stop Worrying and Love the Bomb (1964) a deranged Air Force General (Jack D. Ripper played by Sterling Hayden) orders a nuclear attack on the U.S.S.R. The President of the United States (one of three roles played by Peter Sellers) and the Joint Chiefs of Staff must then scramble to recall the bombers before they can reach their assigned targets in the Soviet Union. While the plot of Dr. Strangelove or: How I Learned to Stop Worrying and Love the Bomb sounds like a thriller, it was very much played as a political satire and a comedy, although a very black comedy. If Dr. Strangelove or: How I Learned to Stop Worrying and Love the Bomb can be said to have a villain at all, that villain would be Brigadier General Jack D. Ripper. Like many people at the time, General Ripper has an extreme distrust of the Soviet Union. And like many people at the time General Ripper believes that the Soviet Union will stoop to any level to destroy the United States. Unlike many people at the time, General Ripper also believes that the U.S.S.R. is seeking to destroy the U.S through the fluoridation of American water supplies. 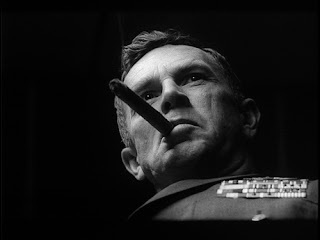 General Ripper believes that the fluoridation of water is a Communist plot to poison Americans' "precious bodily fluids". What is more he believes that there are studies underway to fluoridate salt, flour, fruit juices, soup, sugar, milk, and ice cream as well. It is in an effort to save the United States from this Communist conspiracy perceived by the crazed General Ripper that he orders the nuclear first strike on the U.S.S.R.
Today General Ripper's conspiracy theories sound so off the wall that people could be forgiven if they thought they were invented for the movie. Surprisingly enough, General Ripper's conspiracy theories were drawn from real-life conspiracy theories that had actually been held by a few individuals in the Fifties. Studies in the early 20th Century had indicated that a small amount of fluoride in water prevented tooth decay. To this end it was on January 25 1945 that the water supply of Grand Rapids, Michigan was fluoridated as part of a controlled experiment. The results were published in 1950 and indicated a sharp decline in tooth decay. It was then in 1951 that water fluoridation became an official policy of the U.S. Public Health Service. As the Fifties progressed, more and more cities, towns, and communities began fluoridating their water supplies. Of course, there was a good deal of opposition to the fluoridation of water. Some of this opposition came from individuals who thought fluoridating water supplies had no real advantage over other means of preventing cavities in teeth. Others opposed the fluoridation of water because they thought it violated the rights of the individual as to what to put in his or her body. A distinct minority of those who opposed the fluoridation of water honestly believed that it was a Communist plot. The idea that fluoridation was part of a Communist conspiracy may go back to 1939, when Oliver Kenneth Goff testified before the House Un-American Activities Committee that Communist Party leaders had discussed fluoridation as a means of keeping "...the general public docile during a steady encroachment of Communism.” Charles Bett, an Ohio dentist, may well have been the foremost proponent of the idea that water fluoridation was part of a Communist plot. Dr. Bett claimed that fluoridation was "...better than using the atom bomb because the atom bomb has to be made, had to be transported to the place it is to be set off while poisonous fluorine has been placed right beside the water supplies by the Americans themselves ready to be dumped into the water mains whenever a Communist desires." Among other things, the conspiracy theorists of the Fifties believed that fluoridation weakened the mental capacities of individuals, making them more susceptible to brainwashing, and that it could even result in cancers that would kill off a large number of Americans, making a military takeover by the Communists easier. The idea that fluoridation was part of a Communist conspiracy was never widespread and by the early Sixties it had declined from what little popularity it had ever had. General Ripper then likely sounded as demented to audiences in 1964 as he does to audiences today. That having been said, General Ripper's whole-hearted embrace of the idea that fluoridation is a Communist plot is part of what makes him such a good villain. General Ripper is not ordering a nuclear strike for his own gain. He is not doing so to seek glory for himself. He is doing so because he honestly believes that he is right. He honestly thinks that the U.S.S.R. is poisoning the water supply of the United States and, what is more, he thinks he has the means to stop it once and for all. I rather suspect most people would think General Ripper is evil, but General Ripper would certainly insist he is not. To him he is a patriot seeking to defend his country as best as he can. 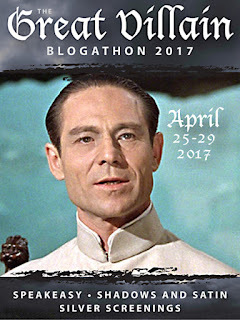 This places General Ripper in an entirely different category from villains such as Bond's archenemy Blofeld or Superman's archenemy Lex Luthor, who realise that what they are doing is wrong--they simply reject conventional morality or perhaps they simply don't care that what they are doing is wrong. It also makes General Ripper much more dangerous. After all, if General Ripper thinks a nuclear strike on the Soviet Union is the best way to stop what he perceives as a Communist plot to poison Americans en masse, what more might he be capable of? Dr. Strangelove or: How I Learned to Stop Worrying and Love the Bomb is one of the funniest movies ever made. It is also one of the greatest comedies ever made. In many respects, it is also a very terrifying movie. It is not only because it portrays the possibility of nuclear war, but because it features man with a good deal of power who simply is not in his right mind. Quite simply, when nuclear weapons are combined with a man like General Ripper, the end result might well be the unthinkable. Jonathan Demme, who directed such feature films as Something Wild (1986) and The Silence of the Lambs (1991), as well as such documentaries Stop Making Sense (1984) and Neil Young: Heart of Gold (2006), died yesterday, April 26 2017 at the age of 73. The cause was complications from oesophageal cancer and heart disease. 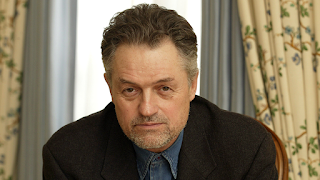 Jonathan Demme was born in Baldwin, New York on Long Island on February 22 1944. He spent much of his childhood in Rockville Centre. The family later moved to Miami, Florida, where Jonathan Demme attended high school. As a teenager he worked at a kennel and an animal hospital. He attended the University of Florida with plans to become a veterinarian. He changed his mind after he failed chemistry and became the movie critic for the university newspaper. He also became the movie critic for a shopping guide in Coral Gables, Florida. It was a review for the film Zulu (1964), published in that Coral Gables shopping guide, that would lead to Mr. Demme's career in film. Embassy Pictures Corporation distributed Zulu in the United States. Embassy Pictures founder Joseph E. Levine was staying at the Fontainebleau Hotel in Miami Beach, where Jonathan Demme's father Robert Demme was the publicist. Robert Demme introduced his son to Joseph E. Levine. Mr. Levine, having been impressed by Jonathan Demme's review of Zulu, gave him a job. Jonathan Demme worked in the publicity department of Embassy Pictures and in various other publicity departments in the film industry before moving to London in 1969. It was in London that he got his first credit on a film, as music coordinator on Sudden Terror in 1970. The Seventies saw Jonathan Demme credited as a publicist on Von Richthofen and Brown (1971), as well as a credit for directing the opening sequence to Naughty Wives (1973). He wrote several screenplays during the decade, including Angels Hard as They Come (1971), Rio Tigre (1972), Black Mama White Mama (1973), Caged Heat (1974), and Fighting Mad (1976). He also served as a producer on Angels Hard as They Come (1971) and The Hot Box (1972). He made his directorial debut with Caged Heat (1974). In the Seventies he directed the films Crazy Mama (1975), Fighting Mad (1976), Handle with Care (1977), Last Embrace (1979), and Melvin and Howard (1980). He directed a 1978 episode of Columbo. The Eighties saw Jonathan Demme direct the films Swing Shift (1984), Something Wild (1986), Swimming to Cambodia (1987), and Married to the Mob (1988). It was with the classic 1984 Talking Heads concert film Stop Making Sense that Jonathan Demme began making documentaries. During the Eighties he would follow it with the documentary Haiti: Dreams of Democracy. He also directed episodes of the TV shows Saturday Night Live and Trying Times, as well as music videos for UB40 & Chrissie Hynde and New Order. In the Nineties Jonathan Demme directed the feature films The Silence of the Lambs (1991), Philadelphia (1993), and Beloved (1998). He also directed the documentaries Cousin Bobby (1992), The Complex Sessions (1994), and Storefront Hitchcock (1998). In the Naughts Mr. Demme directed the feature films The Truth About Charlie (2002), The Manchurian Candidate (2004), and Rachel Getting Married (2008). He also wrote the screenplay for The Truth About Charlie (2002). He directed the documentaries The Agronomist (2003), Neil Young: Heart of Gold (2006), Jimmy Carter Man from Plains (2007), and Neil Young Trunk Show (2009). He directed the documentary TV series Right to Return: New Home Movies from the Lower 9th Ward. In the Teens Jonathan Demme directed the feature films A Master Builder (2013) and Ricki and the Flash (2015). He directed the documentaries Neil Young Journeys (2012), Enzo Avitabile Music Life (2012), What's Motivating Hayes (2015), and Justin Timberlake + The Tennessee Kids (2016). He directed episodes of the TV shows A Gifted Man, Enlightened, and Shots Fired. He directed episodes of the documentary TV shows P.O.V. and The New Yorker Presents. Jonathan Demme was certainly a versatile director. He directed a wide range of different sorts of movies, from romantic period pieces (Swing Shift) to comedies (Married to the Mob) to horror movies (The Silence of the Lambs). In fact, while he may have been best known for the critically acclaimed films he made later in his career (The Silence of the Lambs, Philadelphia, Rachel Getting Married), I think I actually preferred some of his earlier work. Films like Melvin and Howard and Something Wild were unlike anything else being made at the time. They were idiosyncratic in ways that much of his later, more commercial work was not. Of course, in some respects I think Jonathan Demme may have been a better documentarian than he was a feature film director (and he was a very good feature film director). Stop Making Sense numbers among the greatest concert films ever made. Cousin Bobby is a touching film exploring the mission and memories of Jonathan Demme's cousin the Rev. Robert Castle, an Episcopalian minister in Harlem. I'm Carolyn Parker centred on Carolyn Parker, the last woman to leave her New Orleans neighbourhood as Hurricane Katrina approached and the first one who returned to her neighbourhood. Mr. Demme was indeed very good at directing feature films, but I think that he could easily have made a living making only documentaries. When it came to film in many respects Jonathan Demme was a jack of all trades, although he was a master of most of them. He was equally at home making comedies, horror films, and documentaries. Erin Moran, who played Jenny Jones in one season of Daktarii and Joanie Cunningham on the hit TV show Happy Days, died on April 22 2017 at the age of 56. The cause was cancer. Erin Moran was born on October 18 1960 in Burbank, California. She was interested in acting from a very young age and her mother signed her with an agent when she was only five years old. Her first job was also when she was only five years old, appearing in a commercial for First Federal Bank. She made her film debut in Who's Minding the Mint? in 1967 and then appeared in How Sweet It Is! (1968). She joined the TV show Daktari in its final season, playing the orphan Jenny Jones who comes to stay with the Tracy family. In the late Sixties she also made guest appearances on the shows Death Valley Days, The Courtship of Eddie's Father, My Three Sons, and Family Affair. She appeared in the films The Happy Ending (1969), 80 Steps to Jonah (1969), and Watermelon Man (1970). In the early Seventies she guest starred on the shows O'Hara, U.S. Treasury; Bearcats! ; The Smith Family; Gunsmoke; The Don Rickles Show; The F.B.I. ; and The Waltons. She began playing Joanie Cunningham on Happy Days in 1974. In the Eighties she appeared in the feature film Galaxy of Terror (1981). Happy Days would lead to a short-lived spinoff Joanie Loves Chachi that aired from 1982 to 1983. She guest starred on the TV shows The Love Boat; Glitter, Hotel; and Murder, She Wrote. From the Nineties to the Teens she guest starred on the TV shows Diagnosis Murder and The Bold and the Beautiful. She appeared in the feature films Dickie Roberts: Former Child Star (2003), Broken Promise (2008), and Not Another B Movie (2010).